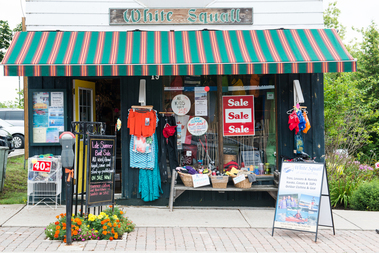 White Squall Town Shop, Parry Sound, On. Information, Photos and Reviews. 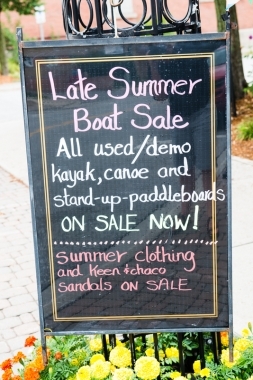 Name brand outdoor gear and women’s and men`s casual and active-wear. We’ve got; sandals, packs, camping supplies, sleeping bags, tents, hammocks, stoves, pot sets, rope, water bottles of all sizes and descriptions, hats, dresses, pants, tops and plenty more that you’ll just have to discover for yourself. Open year-round serving our winter customers with a great selection of outdoor winter wear and gear such as long undies, boots, parkas, hats, mitts, gloves, snowshoes, kick-sleds, winter camping gear, warm socks and more! We carry a wide variety of women’s and men’s active and casual wear, including: dresses, skirts, sweaters, tops, pants, shorts, capris, hats & plenty more that you’ll just have to discover for yourself! Whether you’re camping, cottaging or travelling, we’ve got plenty of outdoor and camping gear & equipment including; sandals, packs, camping supplies, sleeping bags, tents, hammocks, stoves, pot sets, rope, water bottles of all sizes and descriptions. 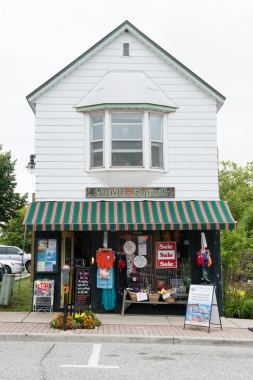 This location is open year-round serving our winter customers with a great selection of outdoor winter wear and gear such as long undies, boots, parkas, hats, mitts, gloves, snowshoes, kick-sleds, winter camping gear, warm socks and more! The Town Shop also rents snowshoes and kicksleds. It’s a great way to get outdoors, have fun and get a little exercise. Nobody has reviewed White Squall Town Shop yet, Be the first. You are submitting a booking enquiry. White Squall Town Shop will then contact you by email with details of availability and prices.